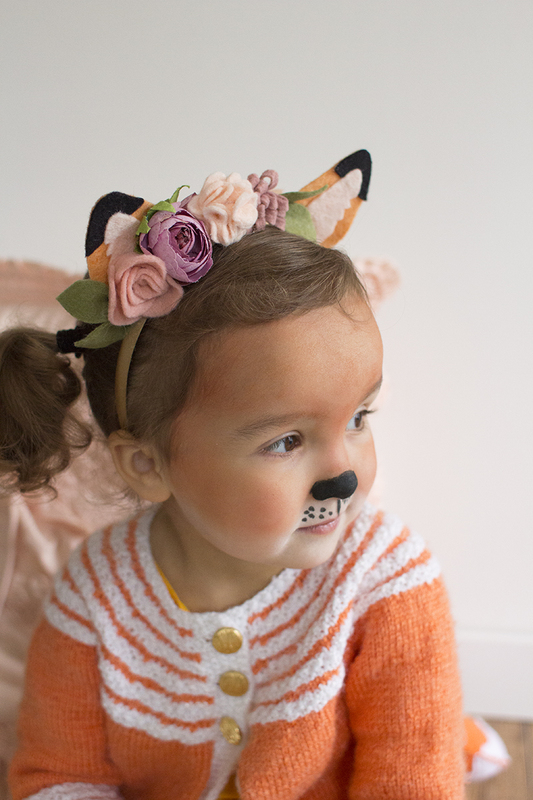 As a Mother of two little babes, looking after myself falls low on the priority list. I'm not sure why that happens but it just does. The last couple of weeks I have been trying to get better at practicing self-care and doing some things just for myself. Even just the simplest of things make the world of difference, like showering more often and trying to go to bed a decent time. One of my favourite ways to treat myself, is indulging in some good skin care products and taking the time to enjoy them. 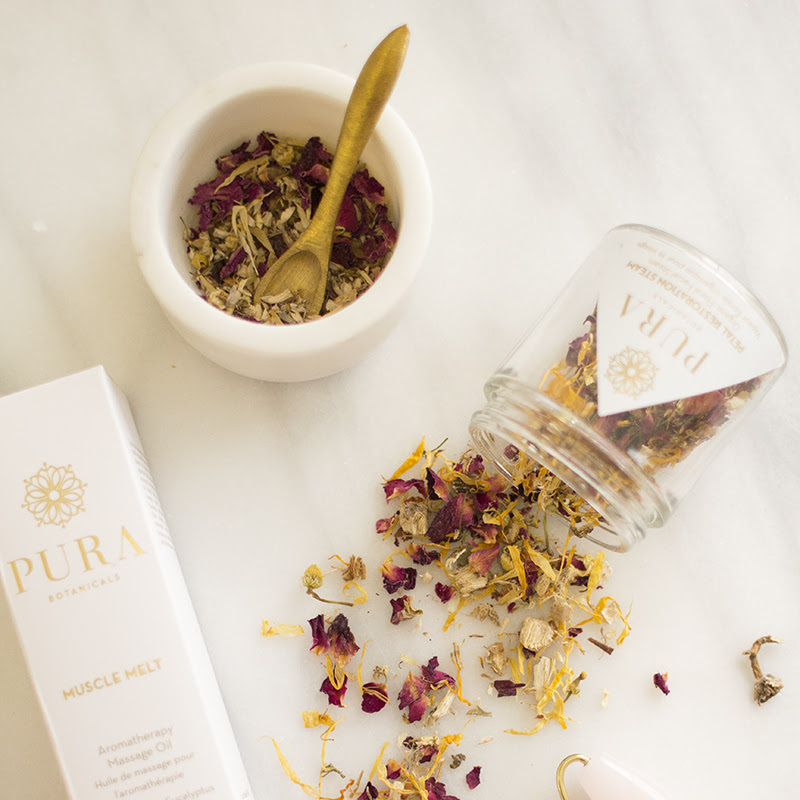 With Valentine's Day just around the corner, what better time to treat yourself to a few new goodies from Pura Botanicals? 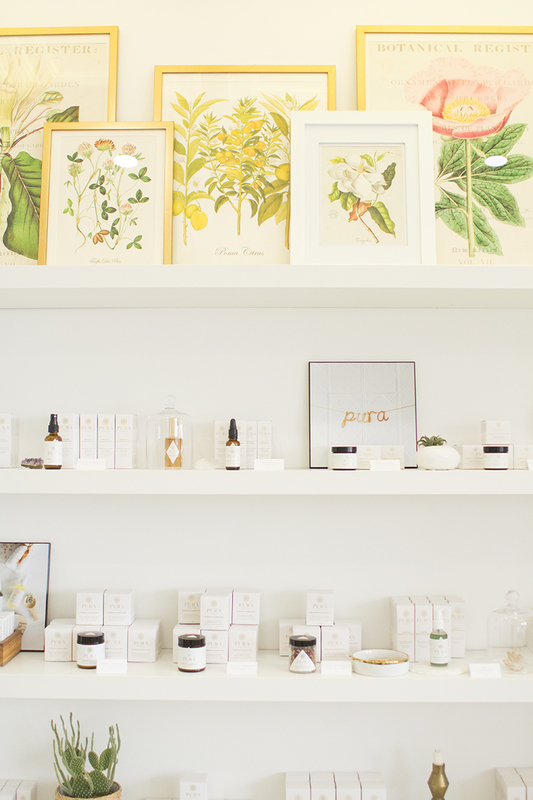 If you live in the Edmonton area, stopping by Pura Botanicals Studio is a must! 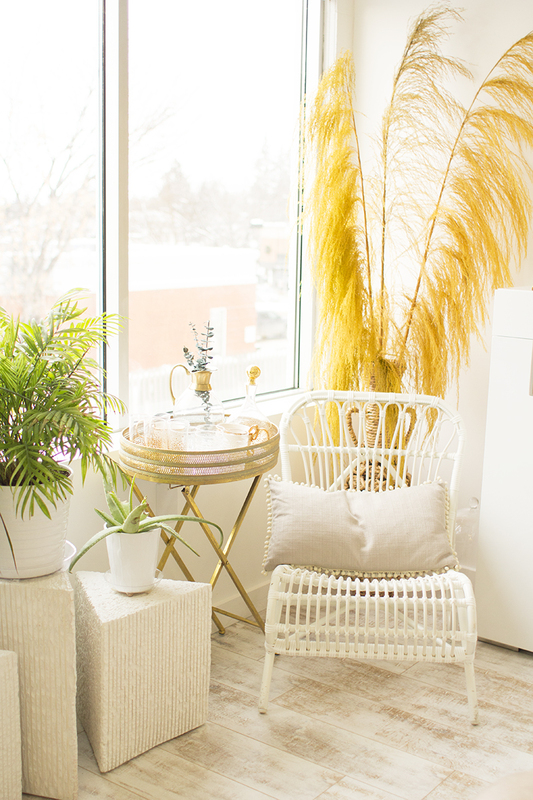 Just being in that relaxing, gorgeous space helps put me in a better place. Now I stopped in there last week with both my kids which wasn't exactly relaxing, haha but Lane & her staff were so amazing and accommodating! Emery even told Lane she loved her, which if you know Lane is a no brainer! Teaching them young! 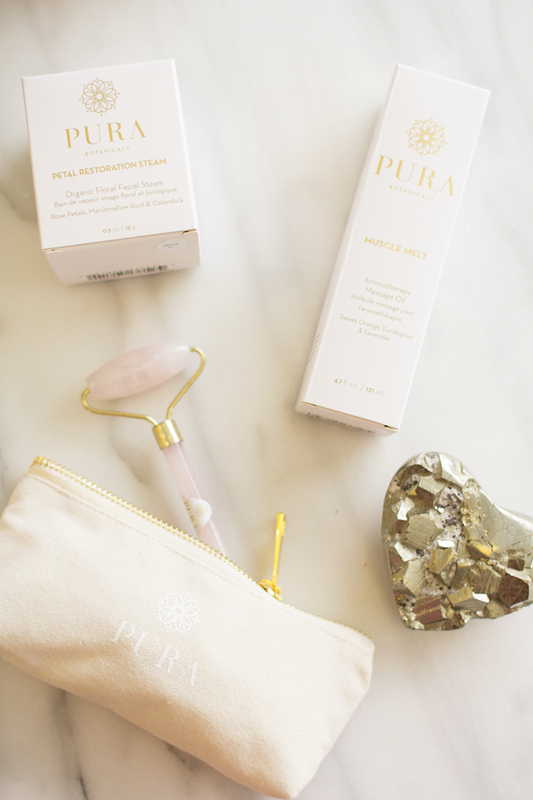 Emery was so into testing out one of Pura Botanicals newest items, the Rose Quartz Face Roller. 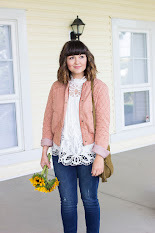 This new product I just can't get enough of! It's so soothing & relaxing. 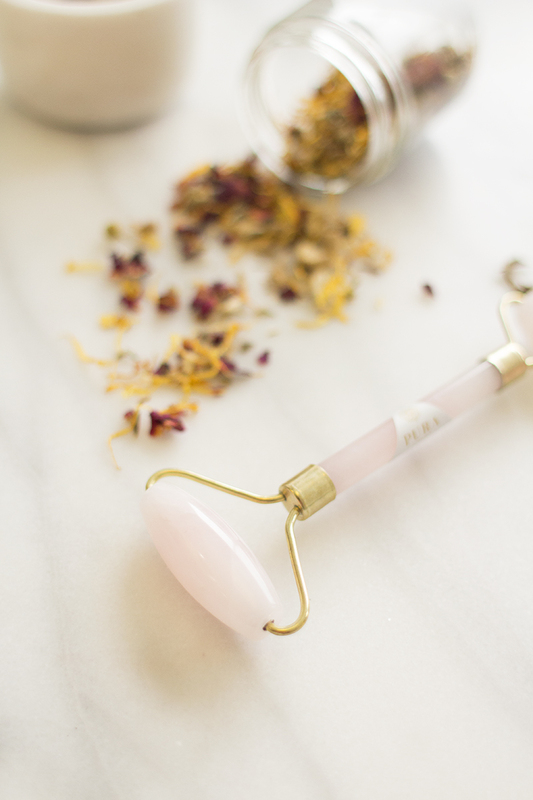 The Rose Quartz Face Roller helps to minimize fine lines & wrinkles, reduce puffiness (which hello this Mama could definitely use!) and increase circulation. I like to use it in the morning and evening, and I might even sneak away during the day during quiet time to use it. 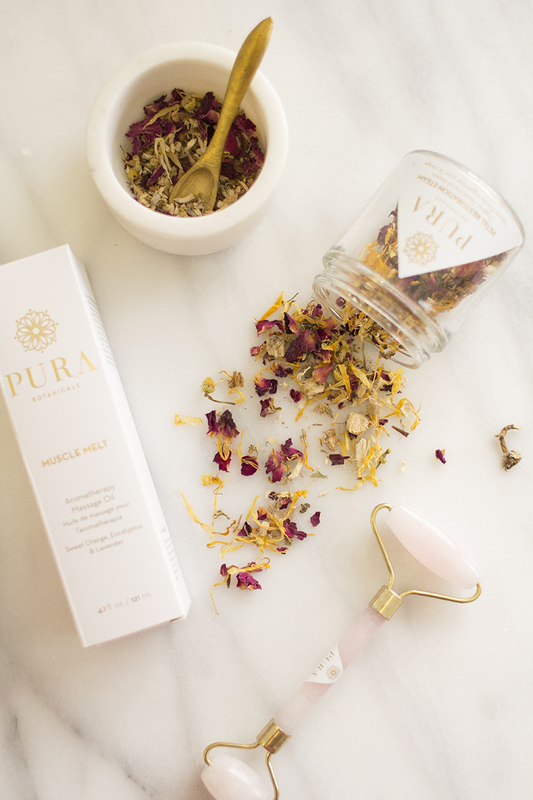 Another one of Pura's newest products is the Petal Restoration Steam. This product makes it feel like you have just stepped into a spa. Such a unique and fun ritual, and it only takes about ten minutes of your time. 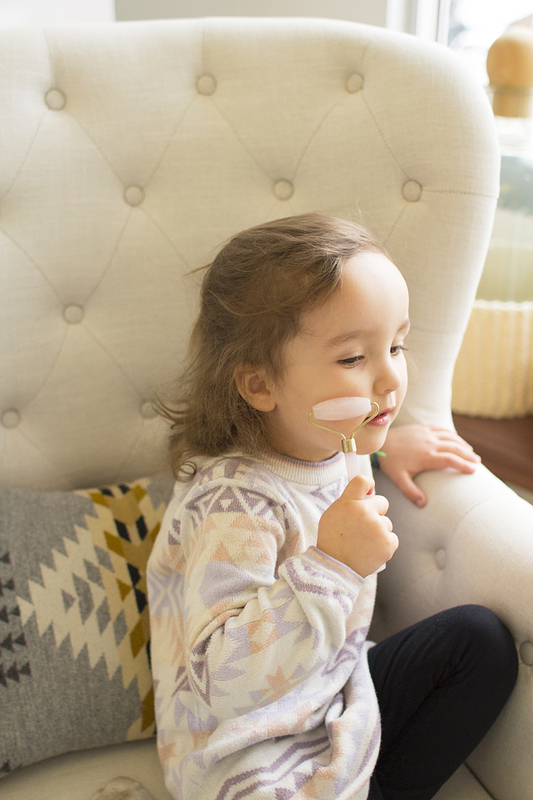 So listen up Mamas, you have time to treat yourself to a little self-care. Ten minutes to yourself can be done! You simply place 1 tablespoon of it into a bowl of hot water, place a towel over your head and allow the beautiful steam to permeate your skin for about five minutes. Such a great thing to do right before bed. The Muscle Melt Aromatherapy Massage Oil is another great product to use before bed. It helps to relax fatigued muscles, elevate joint pain, increases mental clarity and releases tension. Let me tell you, all of those things I definitely and before bed especially. The French Lavender smell is especially soothing. Now if you really want to treat yourself, I would use all three of these products before bed. I would also throw in the Overnight Garden Mask. I seriously can't get enough of that mask! It's so so so good! 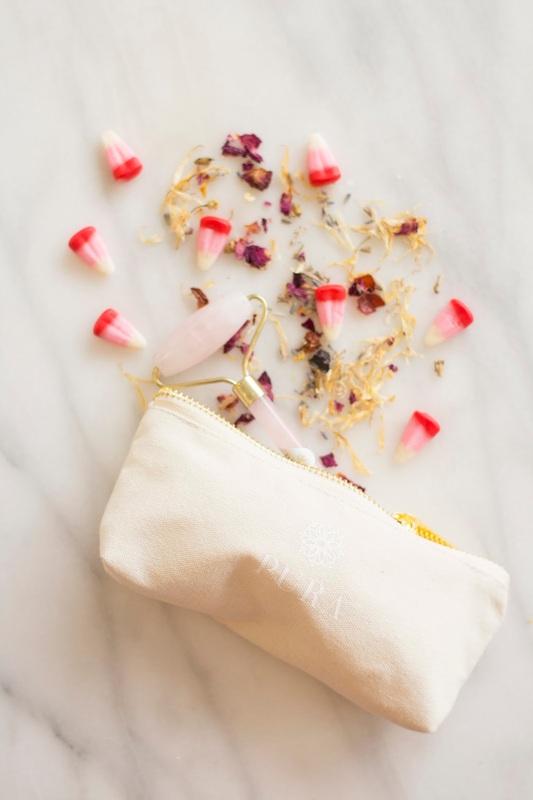 Self-Care doesn't have to be a huge thing or take a lot of time, it can come in many forms ranging from free to investing some money on yourself. Make sure to treat yourself this Valentine's Day especially, take a little extra time out just for yourself. 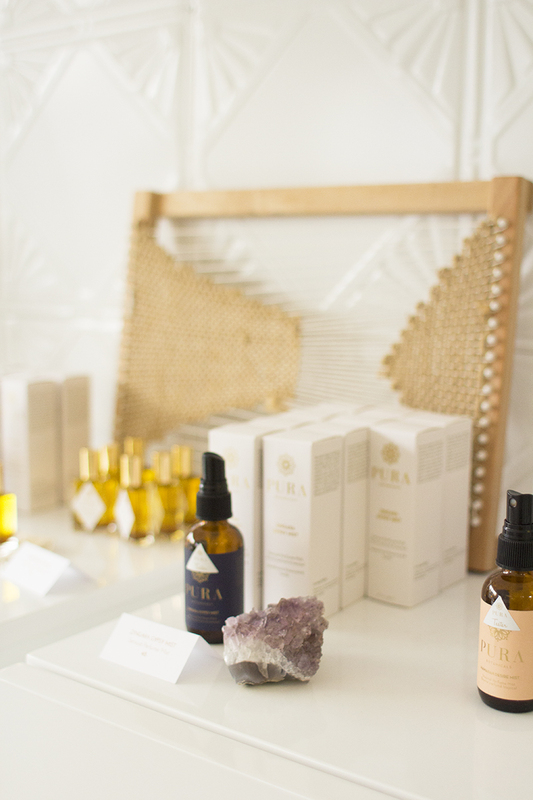 !And if you have a special Valentine, you should treat both of you to some goodies from Pura Botanicals. 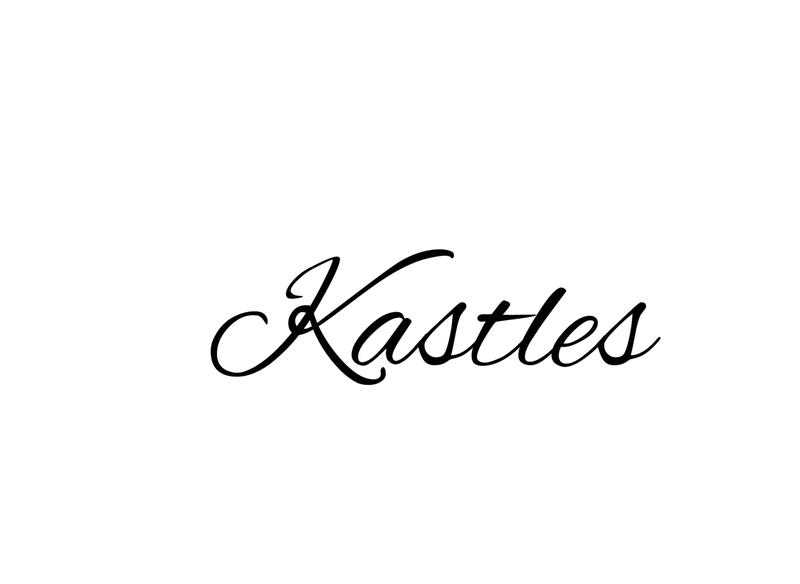 You can check out their stockists here. Let me know what your favourite things to do for a little self-care are below!